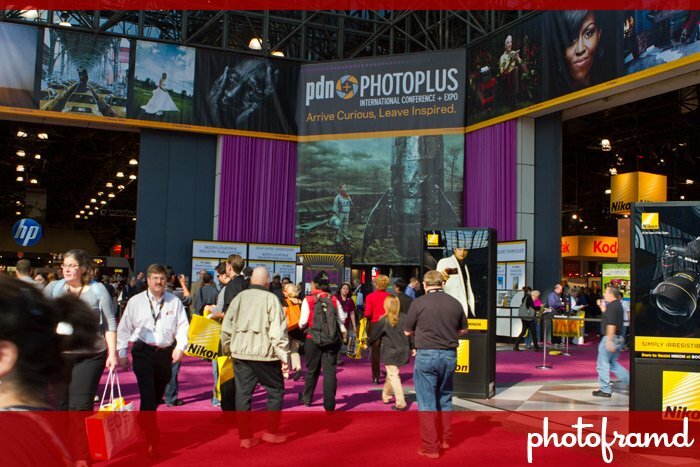 Home »Photography»PhotoPlus Expo 2010 is next week! I am always excited to see all the new products and new companies. I expect to see some new and more affordable DSLR rigs and other accessories for HD-Video. It’s also a great place to shop for photo printers, camera bags, lighting equipment, background canvases and gadgets of every size. Over 200 vendors will be in the Exhibit Hall. And, if that’s not enough, you can always network with your peers or take a seminar. Don’t forget about the Show Specials!! If you have not already registered, the Exhibit Hall pass is no longer free. But, my Photoframd readers can still register FREE before October 27, 2010 by using this link with the Registration Code: pframd1. You can read more about it here. I filmed the following video from the tradeshow floor last year. Be kind, it was one of my first videos with the Canon 7D. Hope to see you there!